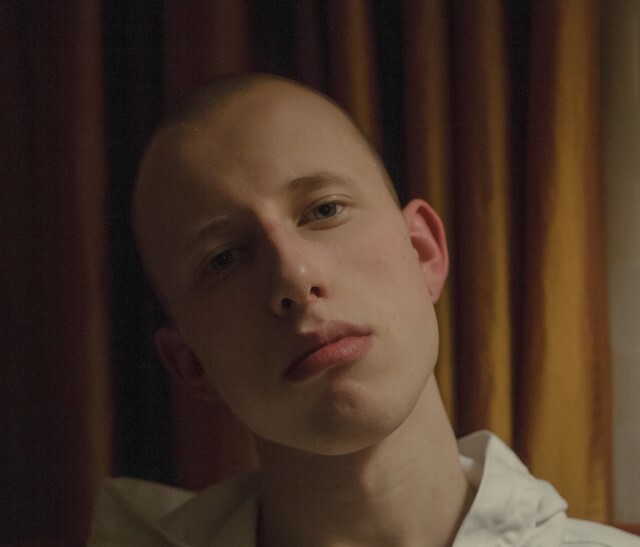 Of all the noise that’s flooded feeds about post-Soviet fashion over the last couple of years, one person has emerged as an unofficial face of the movement: Vsevolod Cherepanov, aka Sever. (If you were wondering, it’s a mix of his given name with the word ‘severe’). Born in Bishkek, Kyrgyzstan, Sever – distinctive thanks to his pale-blue eyes, shaved head, aquiline features and obsession with sportswear – moved first to provincial Russia, but packed his bags for Moscow in 2016. Since being scouted in 2015, he’s been a leading face of Lumpen, the agency responsible for putting street-cast kids from rural Russia on the runways of all the major fashion capitals. Sever has walked for heavy-hitters including Comme des Garçons, Hood By Air, Lanvin and Junya Watanabe, and recently become a face of Nike. Beyond the catwalk, in 2016 Sever launched his eponymous label, and its street-inspired clothes are already stocked at Milan’s One Block Down, KM20, and 424 on Fairfax, fellow Dazed 100-er Guillermo Andrade’s LA spot. The hero item? His ‘Russian Mafia New World Order’ hoodie (as worn by Gosha Rubchinskiy and Vetements stylist Lotta Volkova) which nails the zeitgeist of fashion today.